Nowadays, smartphones have become necessity of people rather than part of a luxury. It helps you provide entertainment, knowledge, valuable information and even helps you connect socially with your friends and relatives. It is becoming virtually impossible to live without a smartphone. It comes in various price brackets depending on the features and looks. People generally use recommendations from people while buying a new smartphone. Depending on your budget you can choose from the range of smartphones in the market, especially when it comes to $500 bracket with range of features to choose from. Following are some of the smartphones which are covered under this segment. Based on the successor of Motorola Nexus 6, Google recently launched the Huawei based Nexus 6P. This smartphone is the best amongst the other two Nexus smartphones announced in the Google’s event, and that’s incredibly apparent when we look at the specifications of all Nexus series. Nexus 6P comes with a big 5.7″ Quad HD AMOLED display, amazingly fast Snapdragon 810 processor with giant 3450 mAh battery and an astonishing 12MP rear-facing camera. The Nexus 6P is much affordable, considering the specifications and built quality, you can buy it from the Google Store starting from just $499. We must say Nexus 6P is the best android smartphone in $500 category and it clearly beats all the smartphone. The Galaxy S 6 edge combines a stunning all-metal bezel and sophisticated glass to create an incredibly slim and lightweight smartphone. It’s the perfect size to take with you virtually anywhere: 5.1-inch Quad HD Super AMOLED 2560 x 1440, 577 PPI + dual-edge. OnePlus did an amazing job at hyping up its 2015 flagship device, the OnePlus 2. After missing the mark in a few key areas like camera and software performance, though, it was very clear the company still had a lot of work to do. Fast forward to 2016 and we now have the OnePlus 3. Not only does it fix many of the issues we had with the OnePlus 2, it also brings some new software and camera features to the table that are definitely worth checking out. OnePlus 3 is a thin, all-metal unibody design, and packed with Snapdragon 820 processor with a massive 6GB of RAM and 16MP rear-facing camera which is capable of shooting great pictures. This time OnePlus 3’s battery is a little smaller, but it does come with Dash Charging technology that will be able to get you a 60% quick-charge in just 30 minutes. Oh, it has NFC too! Now magnetically attach Moto Mods (sold separately) to the back of your phone to do the things your heart desires. Like, snap the Hasselblad True Zoom to enhance your phone’s camera, or you can attach the JBL SoundBoost speaker to enjoy high-quality audio. There’s also an Incipio offGRID Power Pack mod that can easily replace the need to carry a power bank. And the Moto Insta-Share Projector mod takes watching videos outdoors to the next level. Moto Z is featured with a huge 3510 mAh battery which keeps you going for up to 45 hours. The TurboPower charger helps you quickly charge the phone battery and gives it up to 8 hours of life in just 15 minutes. It features 5MP front facing camera and a 13 MP rear facing camera with laser autofocus and phase detection autofocus (PDAF), along with ƒ/2.0 aperture, to help you shoot good-quality photos, even under low lighting conditions. It also has zero shutter lag and Quick Capture mode, so you never miss a moment. The camera also features burst mode, panorama and Auto HDR for amazing photos. You can add more fun to your videos by shooting them in slow motion. With the 14 cm 1080p FHD super AMOLED display makes your photos and videos appear brighter and more vivid. The water-repellent coating protects your phone from water splashes. With tapered edges and an exceptional grip, the Mi5 is lightweight and comfortable to hold. Designed with a Snapdragon 820 processor, the phone lets you enjoy a fast experience at breakneck speed, And you can take clear pictures and stable recordings as the 4 Axis Optical Image Stabilization in the camera prevents shaky hands from spoiling your pictures and videos. LG is one the most popular smartphone manufacturer with range of features and aesthetical design to choose from. It comes powered with 3 GHz QUALCOMM 800 processor with 2GB RAM. 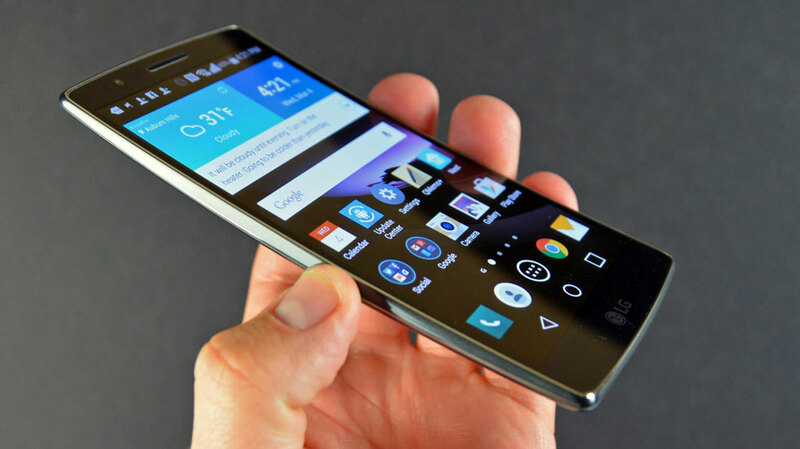 It also has Android KitKat 4.4 version with Adreno 320 GPU breathtaking graphics. Another most amazing smartphone in this segment is Samsung Galaxy Note 2 which comes packed with 5 inches Super AMOLED display screen, quad core 1.5 GHz processor and 2 GB RAM. It has 8 MP primary camera and 2 MP secondary. Sony has always produced amazing phones under budget segment. Another one to hit the segment is Sony Xperia Z with unique water resistant features, quad core Snapdragon 400 Processor, 2 GB RAM, 13 MP primary camera and 5 inch display with 1080 pixels full HD display. This smartphone has some amazing features like 5.5 inches full HD display, Quad-core Snapdragon 600 processor, 2 GB RAM, 13 MP primary and 5 MP front camera. It also has 32 GB internal storage capacity. One of the most classical and stylish smartphone from HTC is, HTC sensation XL which boasts best audio capability, user friendly interface, large screen, Music chops, 1.5 GHz processor with single core and 786 RAM capability which makes it a decent performer with good enough features to fit your budget. This phone is having stylish 4.6 inches of display with 720 pixels screen resolution. It also comes powered with 400 dual-core processor with Adreno 320 GPU and is capable of resisting from free fall. It also has 8 MP rear camera and other amazing features. It comes with Qualcomm Snapdragon processor with clock speed of 1.5 GHz, Adreno 225 Graphical processor, 8 MP camera and 4.3 Inches of Super AMOLED Display touch screen. It is one of the sleekest handset available in the market and not a flagship model from HTC. It is a delight for users looking for a sleek and light handset under budget. Sony Xperia has another good handset under this segment with gorgeous 4.3 inches HD screen resolution and looks amazing while holding. The smartphone runs on older version of Android namely Gingerbread powered with 1.5 GHz dual core processor with smooth browsing and scrolling capability without a lag. It also has a key feature of 12 MP camera with amazing features. Samsung launched various version of S4 and on of its handset fits the segment namely S4 mini Duos i9192. It is an effective phone with 4.3 inches screen with 1.7 GHz dual-core processor with 1.5 GB RAM and Adreno 305 GPU. It also has 8 MP camera which is good for taking few quality pictures and also has HD video recording capability. One of the most rugged phones available in the market is Motorola Defy+, which allows you to use the phone even while scuba diving or swimming. It has shock proof, dust proof and water proof capabilities which make it a reliable phone to handle with OMAP 3620 processor with 1 GHz clock speed. It is highly useful phone for those who are looking for using it for rough usage. Smartphones are available in different budgets depending on which features you would prefer to have in your choice. If you are looking for a smartphone under 500$ segment, you can choose any of the ones mentioned in the above list. It is important to first plan your budget and then look for the features. These phones are so horrible. What about almost any huawei phone? What about any asus phone? What about any other phones? Yes Alan Seot, in a very short span of time mobile world has grown a lot. New brands like XIAOMI, Micromax Yureka, One Plus One and its new version One Plus Two are rocking over the world.